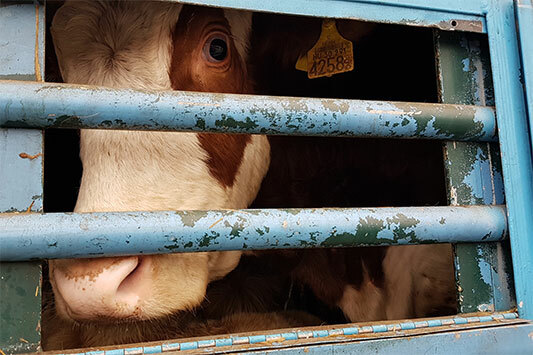 After the end of our trailing of the German heifers to Uzbekistan, two teams of Animals' Angels are still on the road in Russia and Kazakhstan. In the late Saturday evening, we find three more Belarusian transports in Russia, shortly before the border to Kazakhstan. 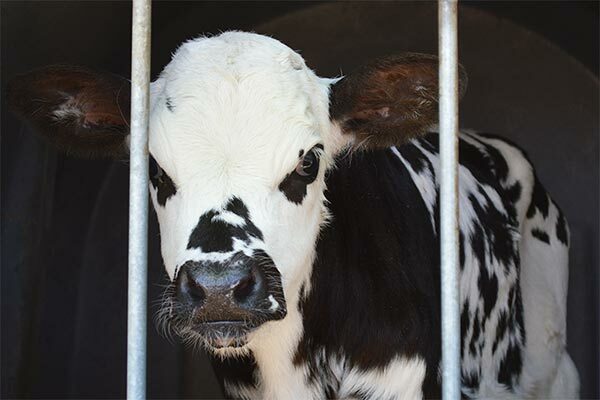 During a stop we can shortly see the animals – again they are German heifers being transported to Uzbekistan. The drivers, however, have probably been informed about our presence by their colleagues: they are very cautious. Our second team in Kazakhstan is therefore waiting for the transports shortly after the border. When we find the transports at a petrol station behind the border, one is sunk in the deep snow and comes neither forward nor back. Of course we want to record what can happen during these transports to distant countries. 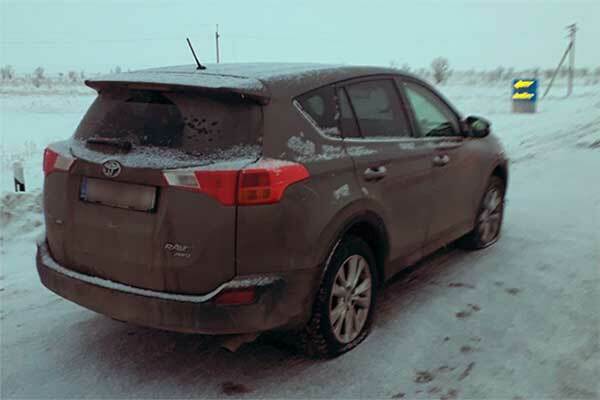 In order not to get stuck in the snow ourselves, we leave our car along the road, walk to the gas station and film how one transport pulls the other out of the snow. During this whole rough and tumultuous process the heifers are on board the vehicles. As soon as the sunken transport is freed, both leave the gas station immediately. While we go back to our car we see from a distance how both transports stop next to our parked car and drivers get out to cut two of our tires with a knife. They obviously wanted to stop us from following them and documenting the transport conditions. 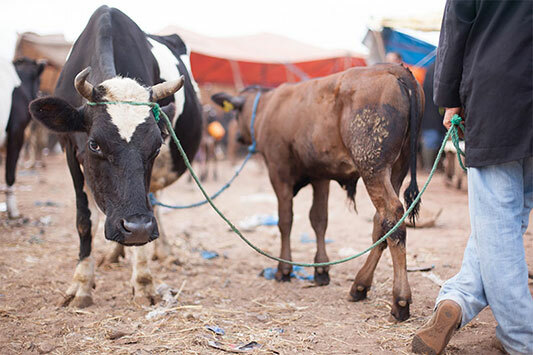 In the middle of the night on Sunday, far away from cities or large towns, we are forced to let the heifers pass. We spend the night at -14 °C in the car until our tires are picked up in the morning. In the evening we are on the way back to Germany.